A radio orchestra is an orchestra employed by a radio network in order to provide programming as well as sometimes perform incidental or theme music for various shows on the network. In the heyday of radio such orchestras were numerous, performing classical, popular, light music and jazz. However, in recent decades, broadcast orchestras have become increasingly rare. Those that still exist perform mainly classical and contemporary orchestral music, though broadcast light music orchestras, jazz orchestras and big bands are still employed by some radio stations in Europe. David Sarnoff was a Russian emigrant, an American businessman and pioneer of American radio and television. Throughout most of his career he led the Radio Corporation of America (RCA) in various capacities from shortly after its founding in 1919 until his retirement in 1970. Artur Rodziński was a Polish conductor of opera and symphonic music. He is especially noted for his tenures as music director of the Cleveland Orchestra and the New York Philharmonic in the 1930s and 1940s. Pierre Benjamin Monteux was a French conductor. After violin and viola studies, and a decade as an orchestral player and occasional conductor, he began to receive regular conducting engagements in 1907. He came to prominence when, for Sergei Diaghilev's Ballets Russes company between 1911 and 1914, he conducted the world premieres of Stravinsky's The Rite of Spring and other prominent works including Petrushka, Ravel's Daphnis et Chloé, and Debussy's Jeux. Thereafter he directed orchestras around the world for more than half a century. Leopold Anthony Stokowski was an English conductor of Polish and Irish descent. One of the leading conductors of the early and mid-20th century, he is best known for his long association with the Philadelphia Orchestra and his appearance in the Disney film Fantasia. He was especially noted for his free-hand conducting style that spurned the traditional baton and for obtaining a characteristically sumptuous sound from the orchestras he directed. Samuel Antek (1909–1958) was a violinist in the NBC Symphony Orchestra under conductor Arturo Toscanini. He joined at the orchestra's inception in 1937 and played with it until its dissolution in 1954. Felix Galimir was an Austrian-born American-Jewish violinist and music teacher. Josef Gingold was a Belarusian-Jewish-born classical violinist and teacher, who lived most of his life in the United States. At the time of his death he was considered one of the most influential violin masters in the United States with many successful students. 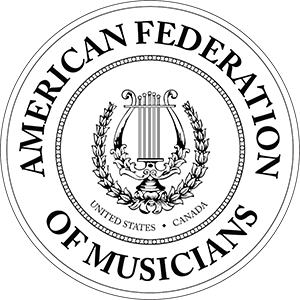 The American Federation of Musicians of the United States and Canada (AFM/AFofM) is a 501(c)(5) labor union representing professional instrumental musicians in the United States and Canada. The AFM, which has its headquarters in New York City, is led by president Raymond M. Hair, Jr. Founded in Cincinnati in 1896 as the successor to the "National League of Musicians," the AFM is the largest organization in the world to represent professional musicians. They negotiate fair agreements, protect ownership of recorded music, secure benefits such as health care and pension, and lobby legislators. In the US, it is the American Federation of Musicians (AFM)—and in Canada, the Canadian Federation of Musicians/Fédération canadienne des musiciens (CFM/FCM). The AFM is affiliated with AFL–CIO, the largest federation of Unions in the United States; and the Canadian Labour Congress, the federation of unions in Canada. RCA Victor released the orchestra's recordings on its flagship Red Seal label on the then-standard 78-rpm records. In 1950, a 1945 recording of Ferde Grofé's Grand Canyon Suite became the NBC Symphony's first LP release (LM-1004). A mainstay of RCA Victor's Red Seal catalog through the 1950s, most of the Toscanini/NBC Symphony recordings were reissued on the lower-priced RCA Victrola label to celebrate Toscanini's centenary in 1967. In the 1980s, RCA began digitally remastering recordings of the orchestra for release on Compact Disc. A complete reissue of all Toscanini's RCA Victor recordings was released on CD and cassette between 1990 and 1992 and again in 2012. Later advances in digital technology has led RCA (now owned by Sony Music) to claim further enhancement of the sound of the magnetic tapes for later reissues, changing original equalization balances and adding acoustical enhancement, but critics are divided in their judgment. RCA has only reissued recordings that were personally approved by Toscanini, including some broadcast performances such as the seven complete operas he conducted at NBC between 1944 and 1954; however, several other labels have released discs taken from off-the-air recordings of NBC broadcast concerts. Toscanini's final two broadcast programs, in the spring of 1954, were experimentally recorded in stereo, but he did not approve their release; many years passed before they were finally issued by labels other than RCA Victor. Recorded in rather primitive and "minimalist" two-channel sound, the stereo antiphonal effect is striking (if crude); but unfortunately the complete performance from March 21, 1954 of the Tchaikovsky Symphony No. 6 ("Pathetique") is not entirely stereo as the master 2-track tape of the entire 'Allegro molto vivace' third movement had apparently not survived; an artificial stereo synthesis is substituted. [ citation needed ] The missing portion of the stereo recording of the third movement was later found and included in the version now available on Youtube. For nearly a decade, the Symphony of the Air performed many concerts led by Stokowski, the orchestra's music director from 1955. The orchestra recorded widely (on RCA Victor, Columbia, Vanguard and United Artists) under leading conductors, including Stokowski, Bernstein, Monteux, Fritz Reiner, Bruno Walter, Kirill Kondrashin, Sir Thomas Beecham, Alfred Wallenstein and Josef Krips. Only once more did they use their old name, the NBC Symphony Orchestra, in the 1963 telecast of Gian Carlo Menotti's written-for television opera, Amahl and the Night Visitors , with an all-new cast. The orchestra disbanded in 1963. 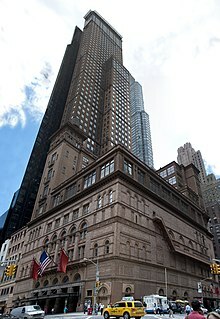 The San Francisco Symphony (SFS), founded in 1911, is an American orchestra based in San Francisco, California. Since 1980, the orchestra is resident at the Louise M. Davies Symphony Hall in the City's Hayes Valley neighborhood. The San Francisco Symphony Youth Orchestra and the San Francisco Symphony Chorus (1972) are part of the organization. Since 1995, Michael Tilson Thomas has been the orchestra's music director. Tilson Thomas is scheduled to conclude his tenure as the orchestra's music director in 2020, when Esa-Pekka Salonen is scheduled to become the orchestra's next music director. Guido Cantelli was an Italian orchestral conductor. He was named Musical Director of La Scala, Milan in November 1956 but his promising career was cut short only one week later by his death at the age of 36 in an airplane crash in Paris, France. Robert Hupka was a recording engineer for RCA Victor and later for Columbia Records and, until his retirement, a cameraman for CBS Television in New York. He was born in Vienna, and emigrated to the U.S. at the onset of World War II to escape the Nazi persecution which took his parents' lives. His grandfather was the composer Ignaz Brüll, who was a friend of Brahms. Charles Munch was an Alsacian, German-born symphonic conductor and violinist. Noted for his mastery of the French orchestral repertoire, he was best known as music director of the Boston Symphony Orchestra. Eugene Ormandy was a Hungarian-American conductor and violinist, best known for his association with the Philadelphia Orchestra, as its music director. The maestro's 44-year association with the orchestra is one of the longest enjoyed by any conductor with a single orchestra. Under his baton, the Philadelphia Orchestra had three gold records and won two Grammy Awards. RCA Victrola was a budget record label introduced by RCA Victor in the early 1960s to reissue classical recordings originally released on the RCA Victor "Red Seal" label. The name "Victrola" came from the early console phonographs first marketed by the Victor Talking Machine Company in 1906. Many of RCA Victrola's reissues included recordings from the historic RCA Victor "Living Stereo" series first released in 1958, using triple channel stereophonic tapes recorded as early as 1954. There were also some first stereo releases of recordings that had previously been available only in monophonic versions. For several years, Victrola released both stereo and mono versions of many albums, many of them in "reprocessed" (fake) stereo. 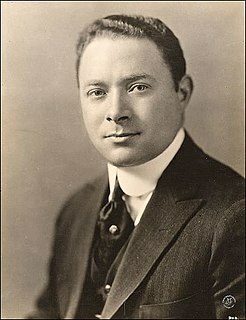 Charles Allan Gerhardt was an American conductor, record producer, and arranger. John "Jack" Pfeiffer ,was a classical recording producer, a design engineer, and an occasional electronic music composer. Arturo Toscanini was an Italian conductor. He was one of the most acclaimed musicians of the late 19th and 20th century. Toscanini was a prolific recording artist, having conducted many recordings from 1920 until his retirement in 1954. ↑ Lewis, Tom. "'A Godlike Presence': The Impact of Radio on the 1920s and 1930s," Organization of American Historians Magazine of History 6, Spring 1992. ↑ Lebrecht, Norman (2001). The Maestro Myth. Citadel Press. p. 73. ISBN 0-8065-2088-4. ↑ Meyer, Donald Carl. "The NBC Symphony Orchestra." Ph.D. dissertation, University of California-Davis, 1994. ↑ McLaughlin, Kathleen, "9th U.N. Birthday Widely Observed", 25 October 1954, New York Times, 1"